So I added peanut butter. It worked! They were so good, I wanted a couple more, but we ate all the tortillas. So I made a couple on white bread with black raspberry preserves. 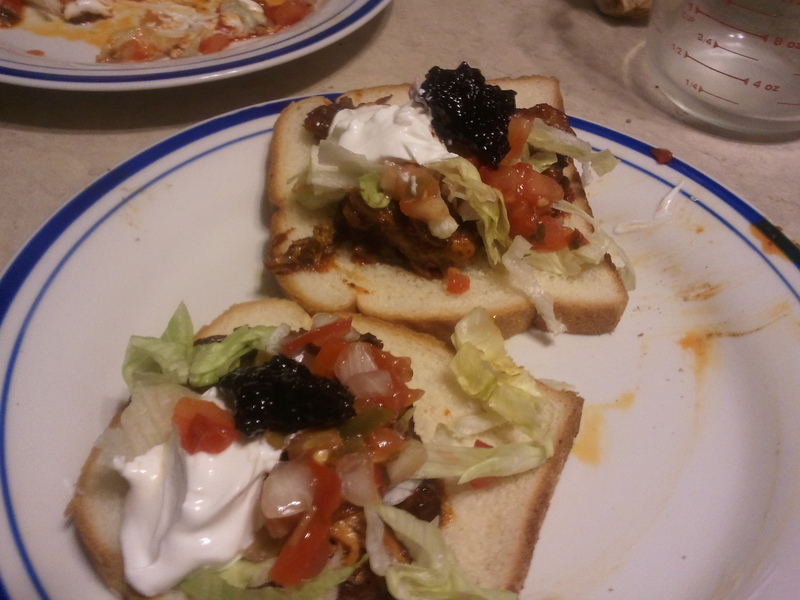 I can heartily recommend open-face pb&j chicken taco sandwiches.